Drinks provided – bring you own straw…. This is another shot from our garden. 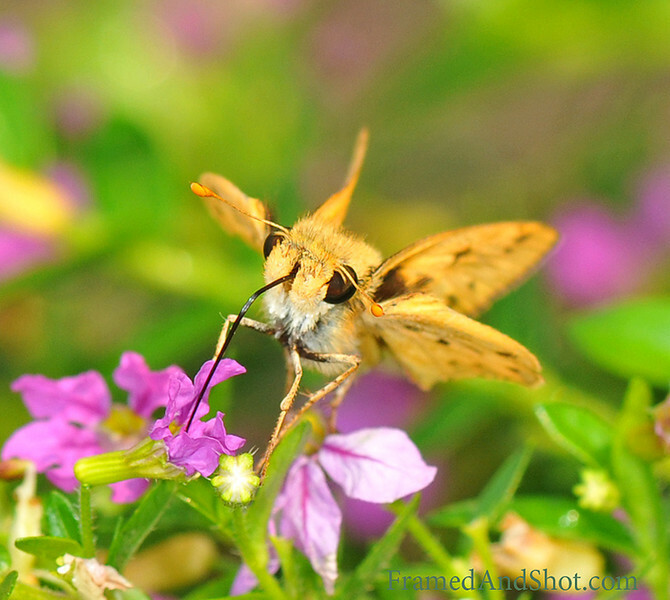 We are not absolutely sure of the right name, but we think this is an Ochlodes Venana, a skipper butterfly from the Hesperiidae family. What ever name he’s got; he sure likes our nectar and he always brings his own straw!